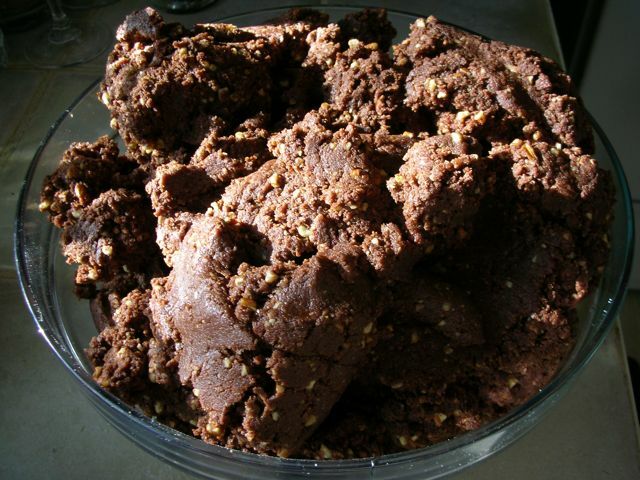 To commemorate the series-ending of Desperate Housewives I’ve brought out a favourite no-bake cookie recipe that is a perfect Adults-Only dessert idea. My Belgian Chocolate Bourbon Balls are a super addition to any cookie baking day you may be planning as they are super easy to make while the other cookies bake away in the oven. Recently I made them for an Easter alternative cookie just to shake up the dessert selections. They were such a hit, and freeze so well, that I decided to make them once again for the Manitoba Food Bloggers Bake Sale benefiting Jamie Oliver’s Food Revolution Day. 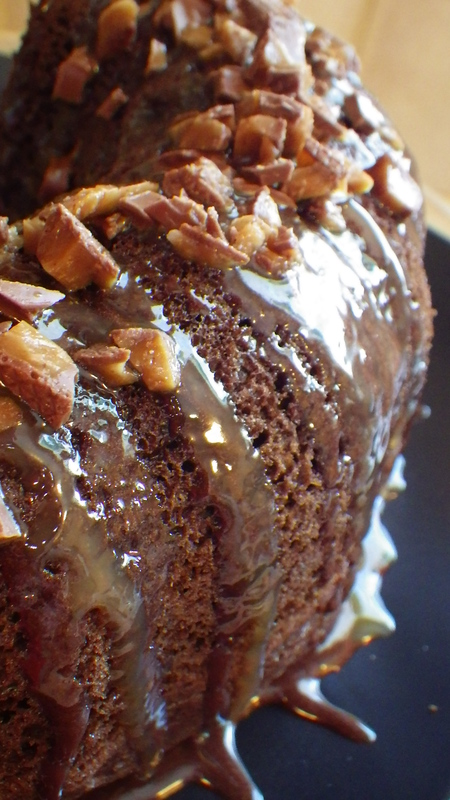 I dedicate this recipe to my mother, who always went the extra mile for my Bake Sales throughout the years. 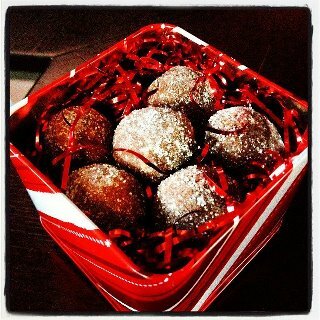 Chocolate Bourbon Balls make a great gift too! 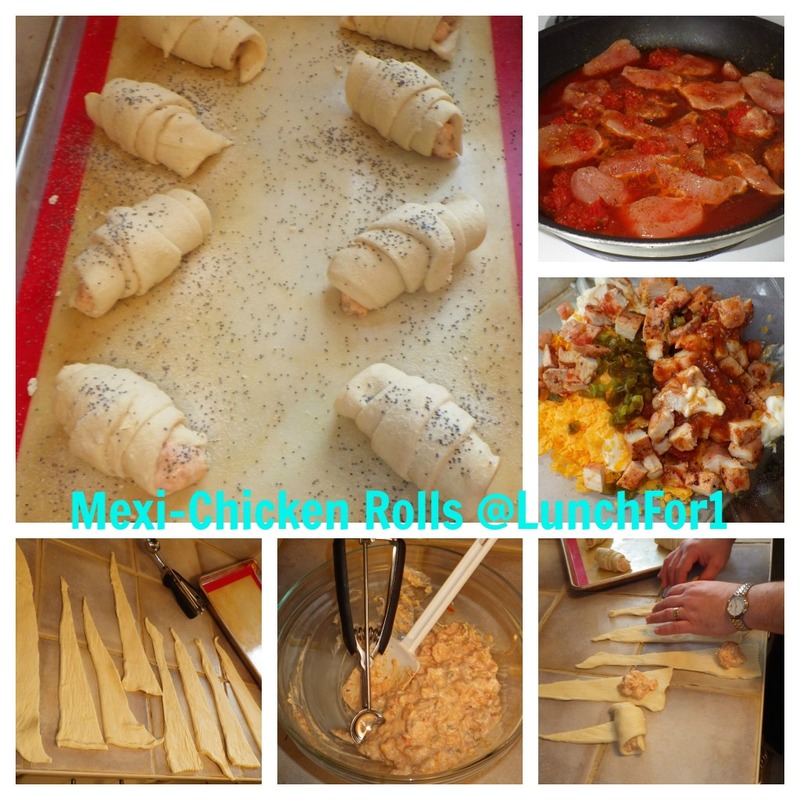 And now for the recipe so that you can get started! 1. 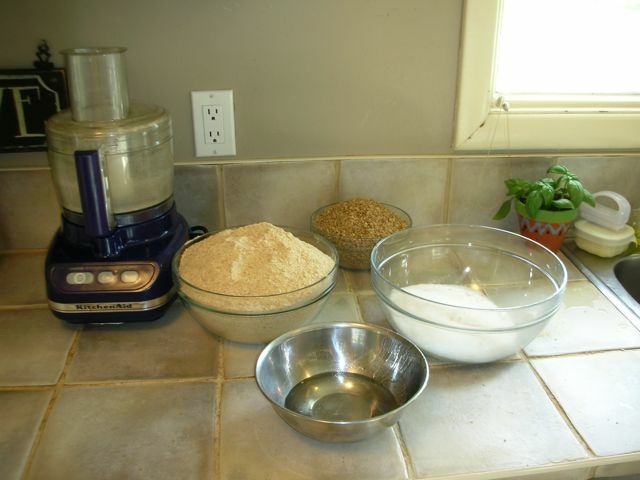 Add all dry ingredients to mixing bowl. 2. Carefully melt the chocolate wafers in a double boiler. 3. 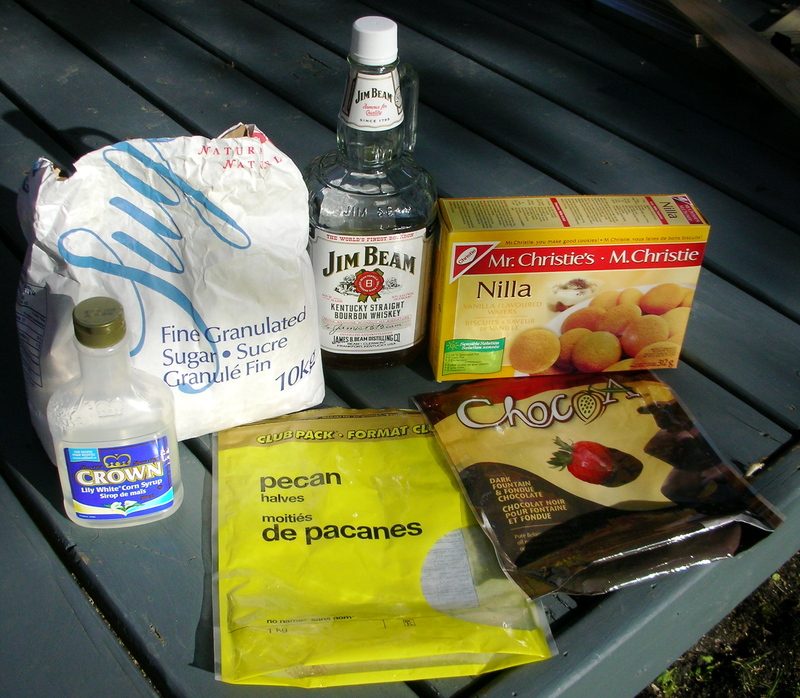 Remove chocolate from stove, stir in bourbon and corn syrup. 4. Add chocolate mixture to the dry ingredients and allow to sit at room temperature for 30 minutes. 5. 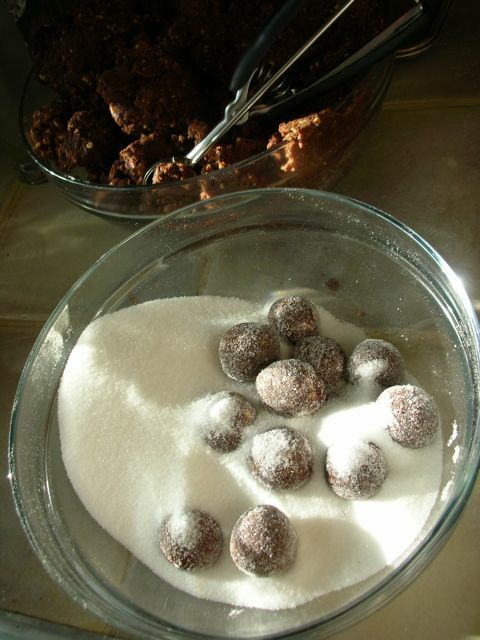 Roll dough into uniform 1-inch balls, and then roll them in sugar to coat. 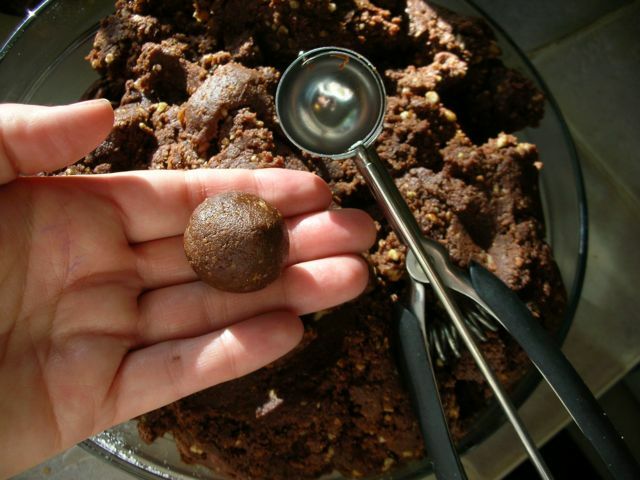 I love to use my OXO Gelato scoop for perfect sized balls every time. 6. 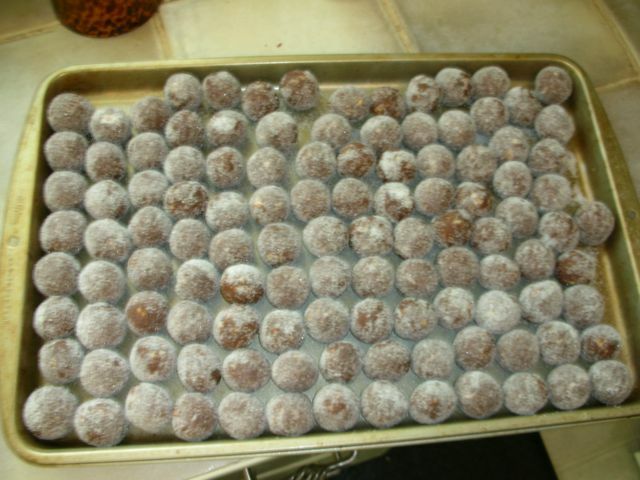 Place balls in air-tight container and store at room temperature for up to 45 days. Or freeze on flat baking sheet for 2 hours, and place in air-tight container. 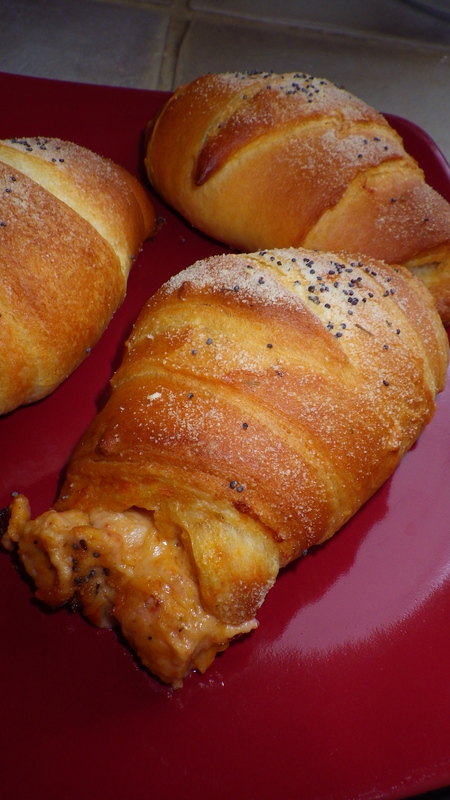 you can refrigerate the dough which will make it crumbly. And Voila! L.M.F.A.O. Bourbon Chocolate Crumble is born! on pancakes, over fruit, on yogurt, or even in a layered cake filling.